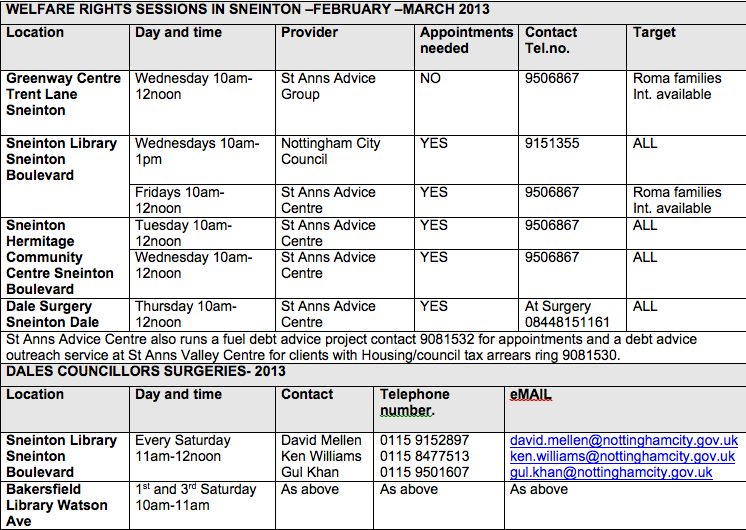 A series of welfare rights sessions are planned during February and March. Details of times and locations and contact numbers are below. Please note that an appointment is needed to attend most of these sessions.